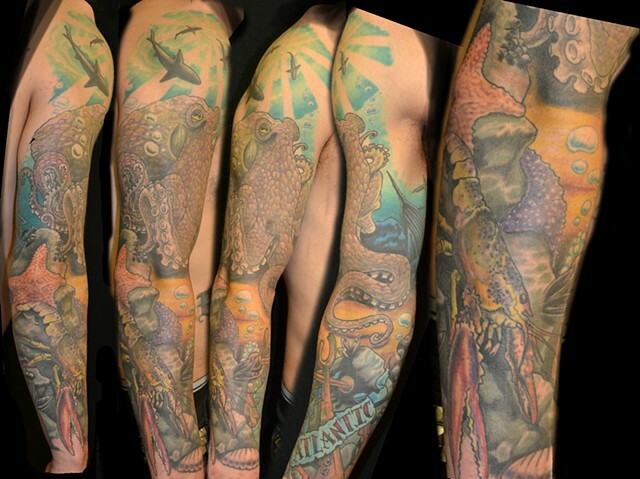 Derik wanted an octopus and an Atlantic theme, hence the lobster. Love how this piece laid out and how well the skin healed. This is a healed photo after 2 years in the skin.